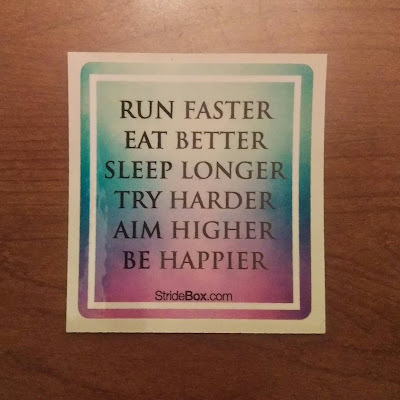 A few weeks ago, the awesome folks at StrideBox reached out to me and offered to send me a free box filled with runner goodies- obviously, I said yes! I've seen other IG runner friends post about their StrideBox subscriptions in the past so I was eager to see what all the hype was about. 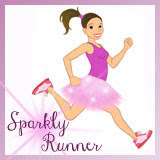 From their website: "StrideBox is a fun and exciting way to discover running products and accessories. 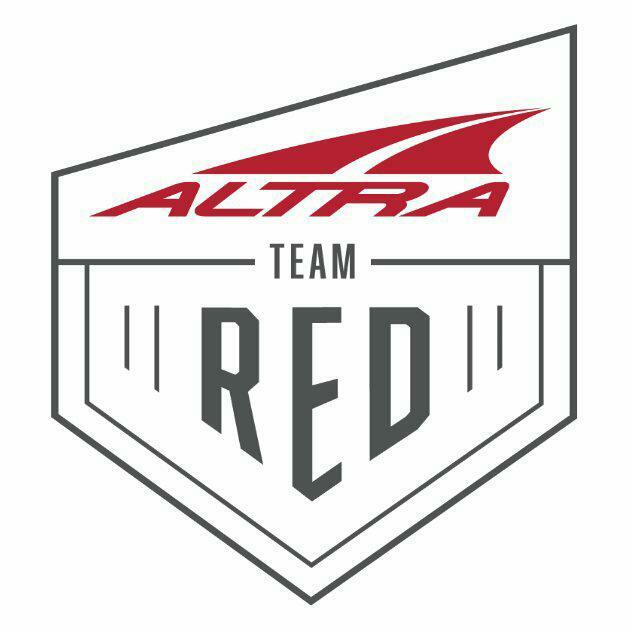 Each month, as a member, you will receive a curated box of gear, accessories, and nutrition products to fuel your training sessions, workouts, and races." 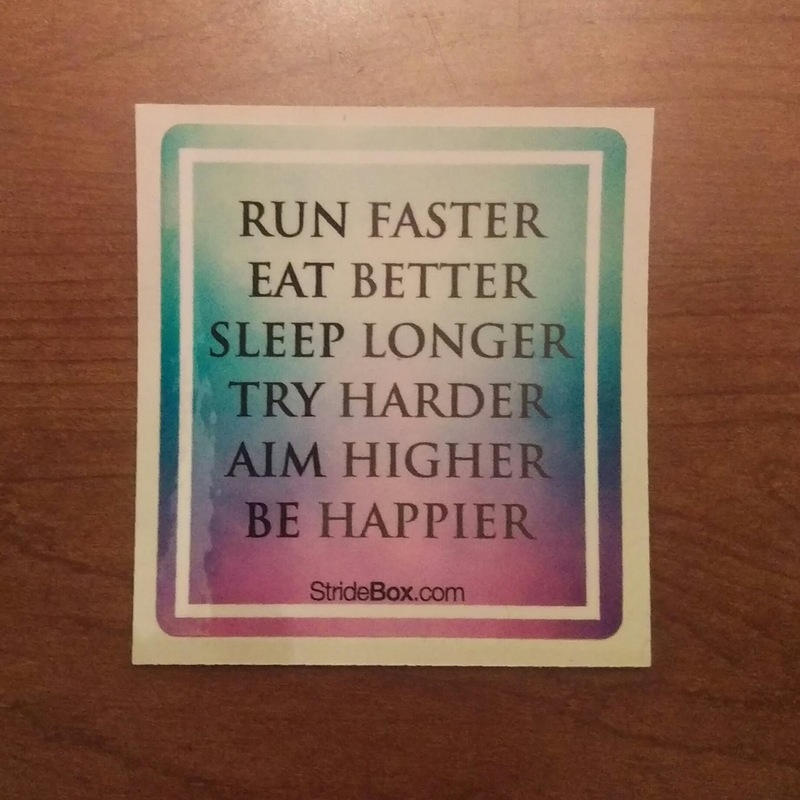 a motivational sticker, and some other neat running products. I was pleasantly surprised with how much stuff was included in the box! 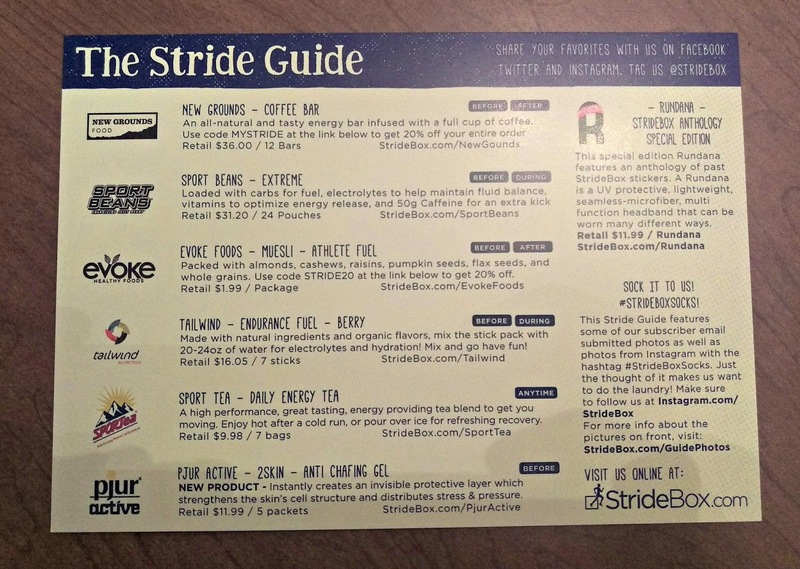 Along with the products, they also sent a recipe card for homemade energy bars and a "Stride Guide" listing all the goodies in the box. So far, I've tried the Sport Beans (awesome!) and the evoke muesli (yummy!). 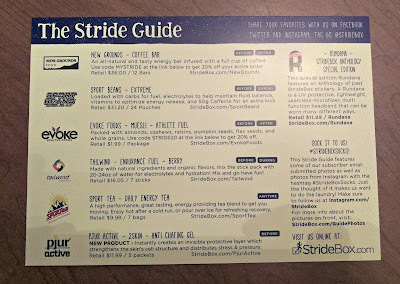 I am intrigued and also scared by the New Grounds Coffee Bar- not sure how I feel about eating my caffeine :-) I love how the "Stride Guide" lets you know whether you should eat/drink the product before, during, or after your run taking all the guesswork out of it. A few magic beans at mile 11, courtesy of @stridebox . 6 more to go. 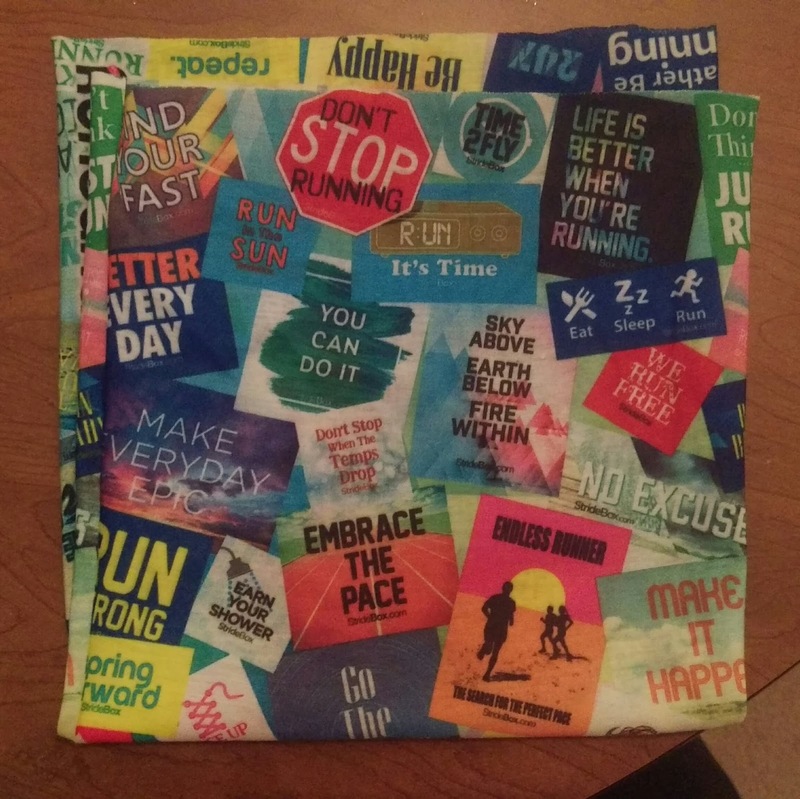 In addition to the food and drink products, there was a Rundana (like a buff headband) with inspirational sayings on it, a motivational, healthy-living sticker, and an anti-chafing product. 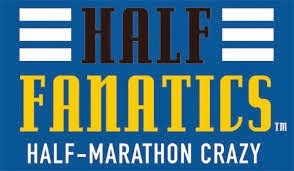 I'm excited to try everything out as marathon training progresses. And I think I've got the perfect spot for my sticker: on the front of my new training/life journal- but more on that in another post. So, what's the cost of StrideBox? For $15 a month, you can get a box filled with new products every thirty days- all focused on running,training, and recovery. 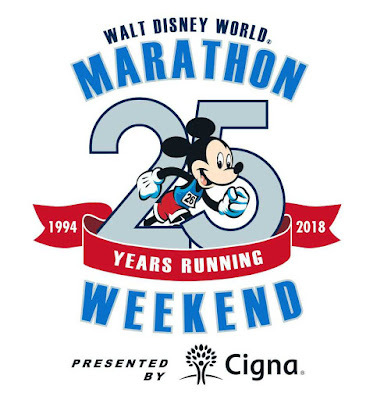 I love this concept because it gives runners the opportunity to try things without having to buy a full-size product and let's face it, running stuff isn't cheap! This is a cool way to "try before you buy" and discover new companies and brands. 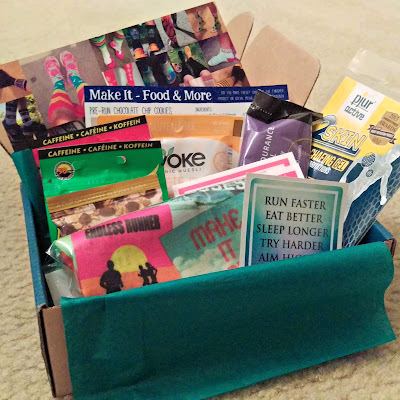 Overall, StrideBox is a super fun and affordable way to try new products and get cool running surprises in your mailbox each month. It will definitely be on my list to Santa this year! 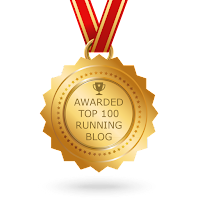 Have you ever tried StrideBox or a similar running subscription service? Disclaimer: I was provided with a free product in exchange for sharing my honest experience on my blog and social media. All thoughts and opinions expressed herein are my own and not influenced by the developing company or any of its affiliates.